On April 26th, 2017 our 16-yr old son, Davis Cripe, went to heaven because of an energy drink. It’s still unbelievable to me that it happened and everyday I wake-up hoping this nightmare is over, but no such luck. The Ultimate Warrior’s cause of death has been determined by a medical examiner, according to TMZ. The gossip website reports that the former wrestler died from a massive heart attack. The WWE Hall of Famer passed away just days after returning to WWE. Warrior, born James Hellwig, was inducted into the WWE Hall of Fame on April 5, appeared at WrestleMania 30 on April 6 and was featured on “Monday Night Raw” the next day. Despite the dangers they can cause, the number of people using steroids appears to be increasing. The quest to achieve a peak physique is said to be one of the reasons why young men in particular are resorting to what many in the industry regard as a quick-fix solution. Ultimate Warrior drops dead at 54. Was he still using steroids? 10-Apr-2014 by THF in Hoot's Corner | Comments Off on Ultimate Warrior drops dead at 54. Was he still using steroids? Did DMAA-spiked supplement kill this runner? 4-Feb-2013 by THF in Hoot's Corner | Comments Off on Did DMAA-spiked supplement kill this runner? A fit and healthy woman who collapsed near the finish of the London marathon probably died as a result of taking a legally available performance-enhancing drug, a coroner has ruled. 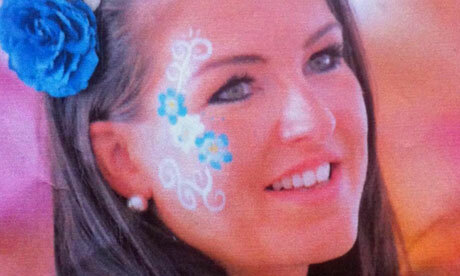 Claire Squires, 30, collapsed in Birdcage Walk, a mile from the finish line of the 26.2-mile event last year. The coroner, Dr Philip Barlow, said: “Claire died on 22 April 2012 at St Thomas’ hospital after collapsing during the final stretch of the London marathon. Musclebound militiamen pumped up on steroids are keeping Syrian strongman Bashar al-Assad in power - and carrying out massacres so his government troops won't be blamed. Anabolic steroids make a male stronger and more aggressive.Â Anders Breivik knows that, so he used steroids to help him get physically and mentally prepared kill children!